When Abbey's best friend, Kristen, vanishes at the bridge near Sleepy Hollow Cemetery, everyone else is all too quick to accept that Kristen is dead and rumors fly that her death was no accident. Abbey goes through the motions of mourning her best friend, but privately, she refuses to believe that Kristen is really gone. It only makes things worse that everyone now treats Abbey like either a freak show or a charity case. Thank goodness for Caspian, the gorgeous and mysterious boy who shows up out of nowhere at Kristen's funeral, and keeps reappearing in Abbey's life. Caspian clearly has secrets of his own, but he's the only person who makes Abbey feel normal again...but also special. Tar loves Gemma, but Gemma doesn't want to be tied down-not to anyone or anything. Gemma wants to fly. But no one can fly forever. One day, somehow, finally, you have to come down. I'm pretty happy! Check out Ink and Paper for other books received this week. Wow, you have some great books there! I can't wait to hear what you think of Guitar Girl - I love Sarra Manning's books. I've read Junk and The Lovely Bones too, so I can join in with the comments when you review those! Your Oxfam shop has excellent stock. We do have some really awesome books at Oxfam, and I feel lucky to find them when I'm there. I'm forever making my manager laugh when I squeal whenever I find a really good book. I'm looking forward to these books, especially Junk. I loved Melvin Burgess' Doing It, so I can't wait to read Junk! I really liked The Lovely Bones, it's a great book. I'm interested to read The Hollow because it's getting such mixed reviews, so I'll look forward to hearing what you think of it. I'm looking forward to The Lovely Bones, it looks really good! 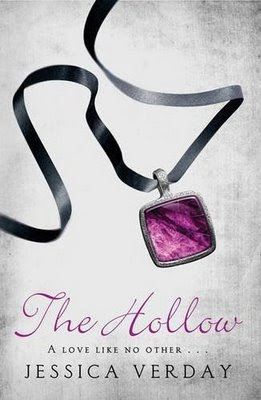 I'm reading The Hollow now, and I want to get it finished tonight, because I'm not really enjoying it so far, which will be explained in the review. I'm hoping it picks up. Cheers! I look forward to reading them! Great reads! I am really looking forward to getting a copy of this book! 9 and a Bookshelf - I LOVED Hush, Hush, it was amazing! I'm over half way through The Hollow, and I don't think I'm liking it. Sheila - Thank you! Which book is that? Great books you got this week. I love that cover of The Hollow it's really nice. Hope you enjoy reading all your books. cool very excited to read all those books!!! I've read Hush, Hush already, it's pretty awesome! :) Didn't like The Hollow though.